I've been making a lot of baby-related crafts lately because I know a lot of people having babies this year. I love to give handmade gifts. For me, making something allows me to give a gift that is special without going broke - I get into trouble at kid's stores. I end up wanting to buy EVERYTHING. My parents got me a new contraption for Christmas that has made my onesie-making a lot more fun. They got me a Slice Fabrique - a little contraption that is programmed to cut a bunch of fun designs out of fabric. I've been playing around with it a little and love the endless possibilities. My brothers got me the "Animal Frenzy" design card that I used to make the the whale and penquin appliques. Since I know not everyone has access to a Slice machine - and many don't have the interest in purchasing one - I decided I'd make a little tutorial on one of the more simple applique patterns that could easily be cut out by hand - A WHALE! First, wash and dry your onesie and fabrics to pre-shrink all of your materials. Next, iron on your Heat N Bond to the wrong side of your fabrics. 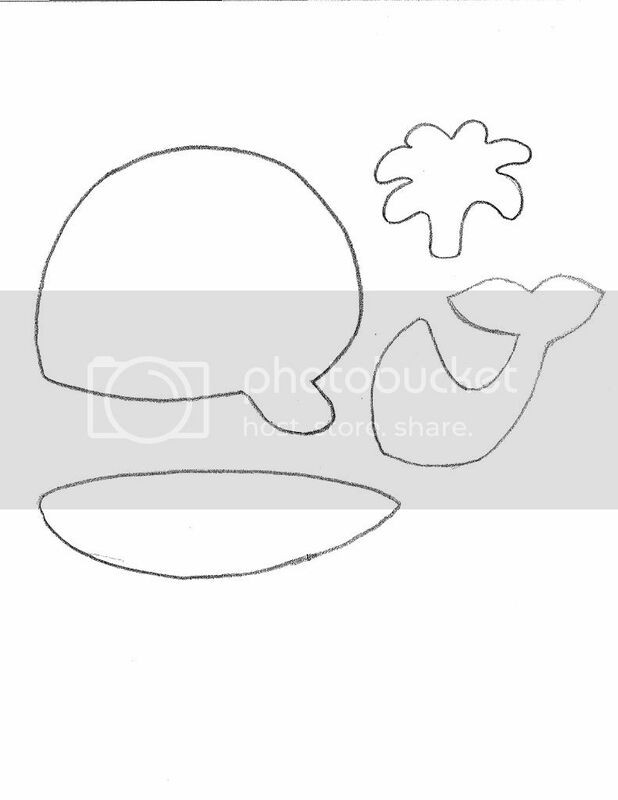 Now you're ready for your whale template! Using the template, cut out a body, a tail, a belly and a water spray. Arrange your whale pieces onto the onesie. Once you have them in place where you want them, iron your pieces in place. After you're done ironing, add an eyeball! Using coordinating or contrasting thread, stitch around your whale on your sewing machine using whatever type of stitch you'd like - I used a contrasting dark blue thread with a zig zag stitch. You're done! You now have an adorable, one of a kind, onesie. Final step: give to a cute kid. This is super cute! I love making girly clothes for my daughter, but I've been wanting to make something for my twin nephews, and it's hard finding boy stuff. You've inspired me! You are welcome to see if you'd want to make any of my creations at thedomesticatedprincess.blogspot.com. Thanks!